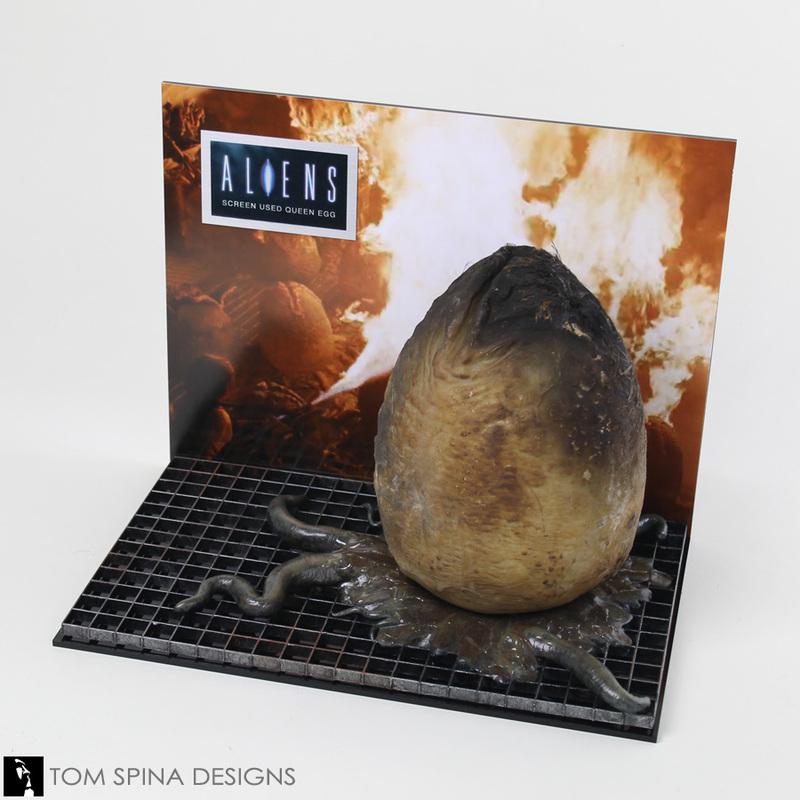 A custom themed base, plaque and photo backdrop made to display an Aliens egg prop from the 1986 movie. 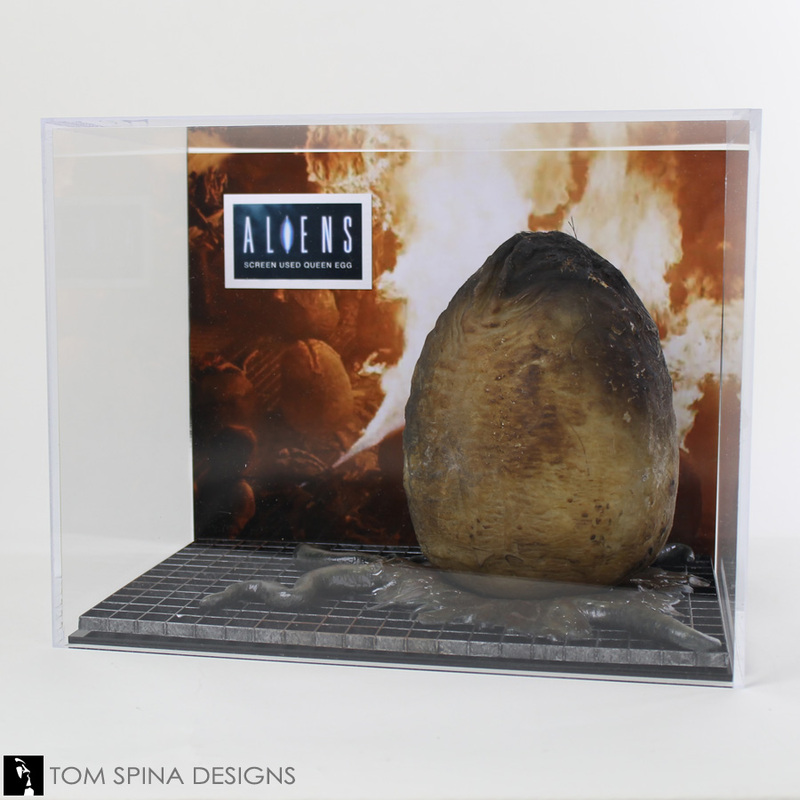 A custom acrylic display cover and themed setting for an Aliens egg prop from James Cameron’s 1986 sequel film. 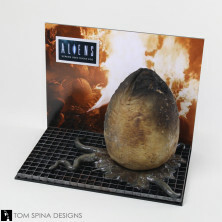 This egg movie prop was used in the film when Ripley, played by Sigourney Weaver, found the Alien Queen’s lair filled with hundreds of eggs. She knows that each of the eggs means another one of the deadly Aliens waiting to hatch and she tries to destroy them all with a flame thrower. Since the egg was used in the “burn scene” we decided that a large image from that scene would be a wonderful way to give this scaled model from the film some context. 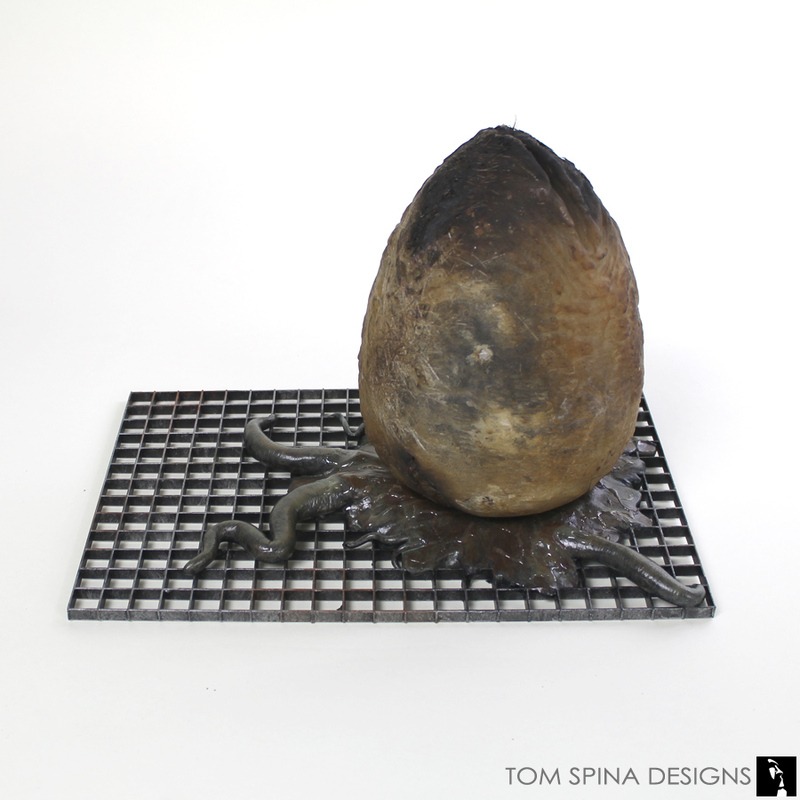 The production-scorched egg almost appears to be burning at a quick glance! A full color metal plaque was added to give additional context and to enhance this showcase for a very cool movie prop. We also wanted to add a bit of theming to our display, so we started with with a piece of faux metal grating, much like you see throughout the film. 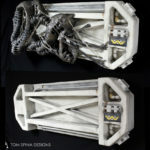 We then sculpted the tendrils and tentacles and the biological “stuff” that always surrounded these eggs in the movie. Not only did they add another level of dimension to the display case but it also served as a stand to help keep the egg upright, as we sculpted it to specifically match the underside of the Alien egg prop and cradle it. 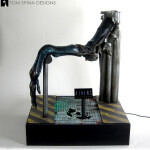 The sculpture was hand painted and given patches of a glossy finish for a slimy look. 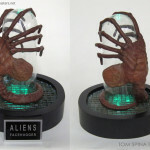 A custom clear acrylic display case covers the prop to protect it from dust over time! Game over man!